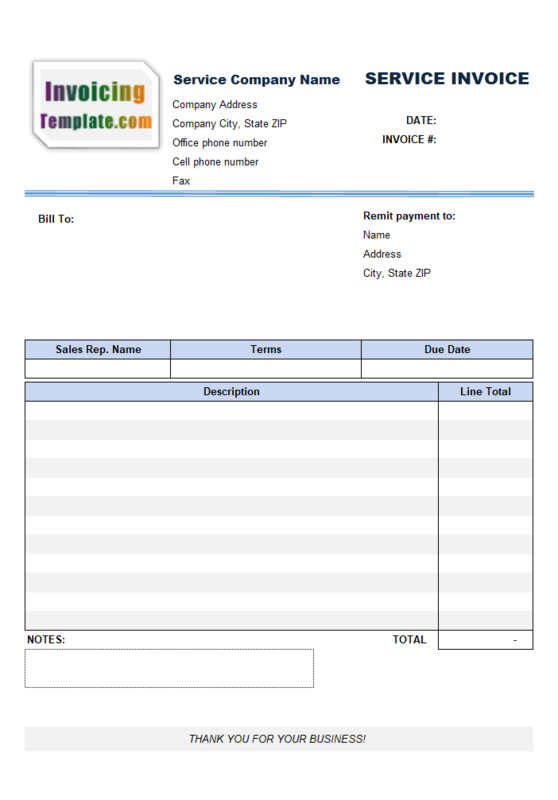 Sales Invoice Template with Discount Amount Column is a sample invoice template that adds a discount amount column to the default sales invoice template shipped with Invoice Manager for Excel (namely Uniform Invoice Software). 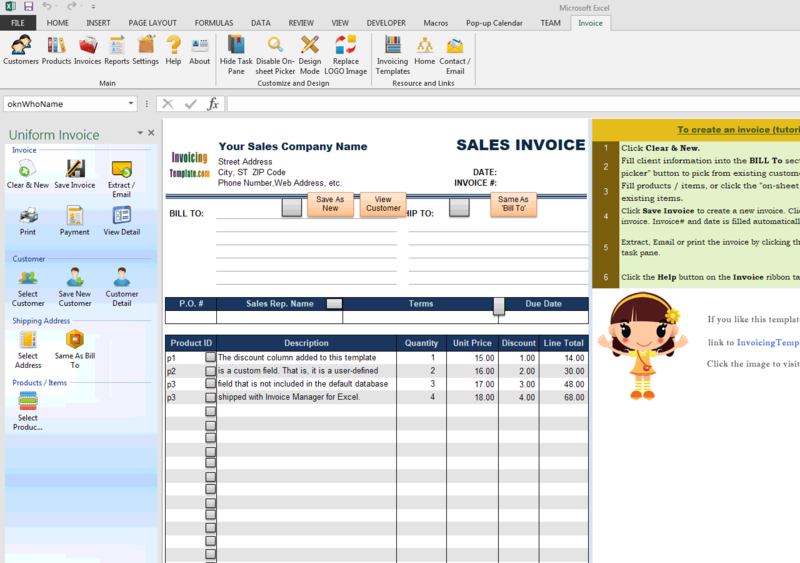 c6010 now includes the customized invoice template for the latest version of Invoice Manager for Excel. This is what you will see when you open salesdiscountamount.xlsx. 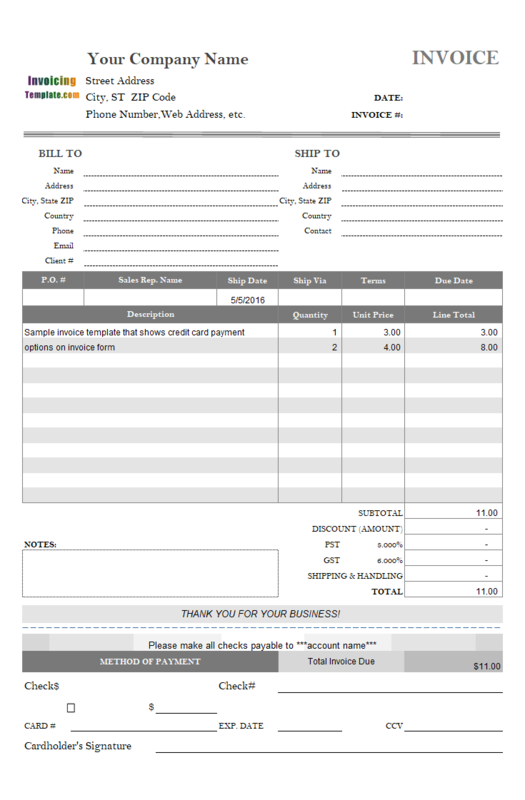 It's common practice to show discounts on invoices in many types of businesses. The easiest way, however, and also a flexible way, is to add the discount as a product or service item on the invoice body but with negative price or line total. There are also special ways that are not commonly appliance but do work for some business. 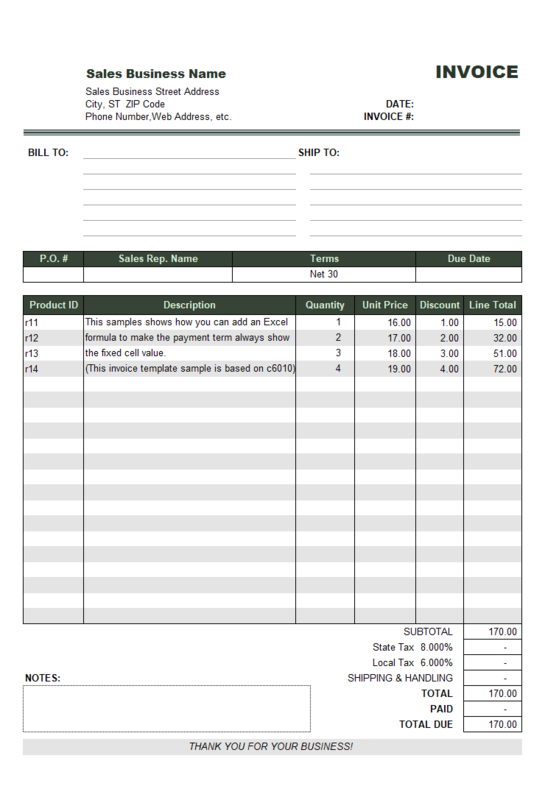 For example, one of our customers found a new way to use the tax cells and formulas on the default sales invoice template - by naming a tax "Discount" and assigning it a negative tax rate, one of the tax field on the bottom of invoice form efficiency becomes a discount field. Since Invoice Manager for Excel (namely Uniform Invoice Software) allows to change the tax rate (in this example it becomes discount rate) on a per-invoice basis right on the bottom of the invoice form, the customer had never encountered a problem in applying discounts in this way. What if you need to show discounts in a more detailed manner? 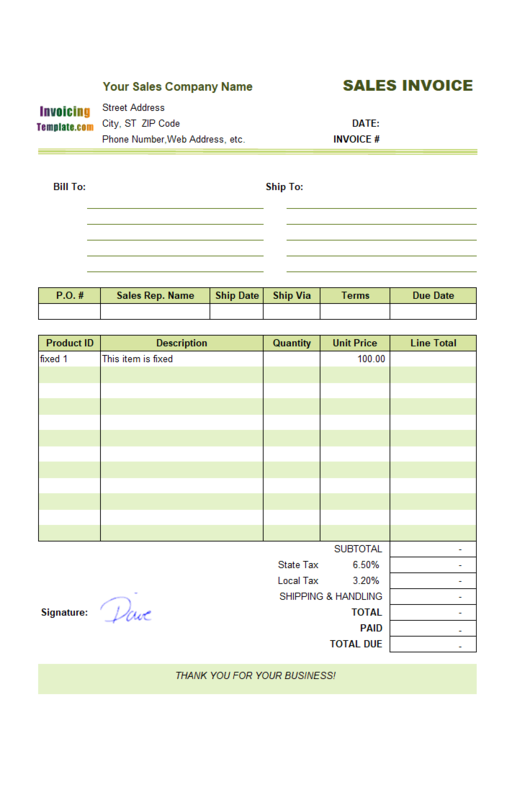 For example, show discounts applied to each item on invoice body separately? 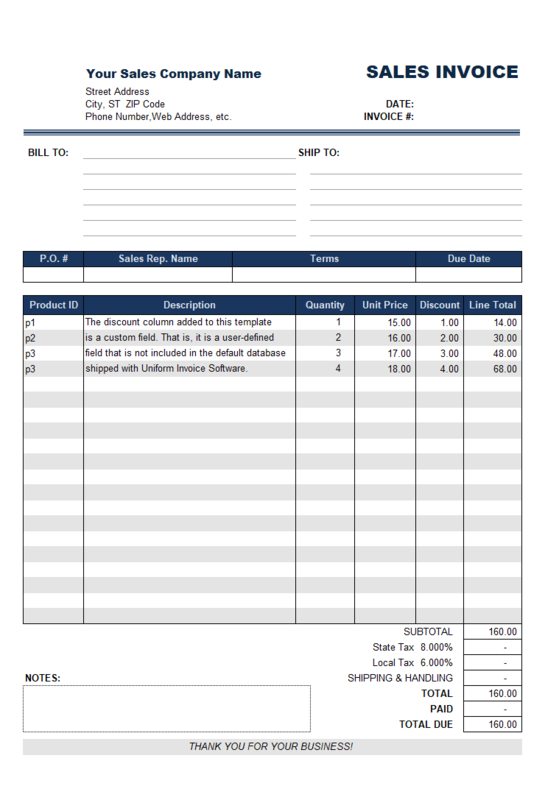 This requires an additional column on the invoice body, as compared to the 5 columns on the default sales invoice template that shipped with the setup program of Invoice Manager for Excel (namely Uniform Invoice Software). 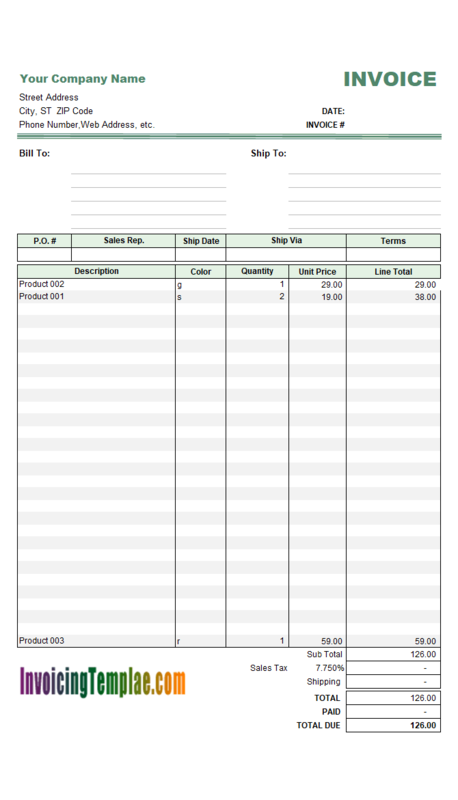 So in this customized sample invoice template - Sales Invoice Template with Discount Amount Column, we have 6 columns on the invoice body within the printable invoice body: Product ID, Description, Quantity, Unit Price, Discount, and Line Total. The "Discount" here is an amount value. 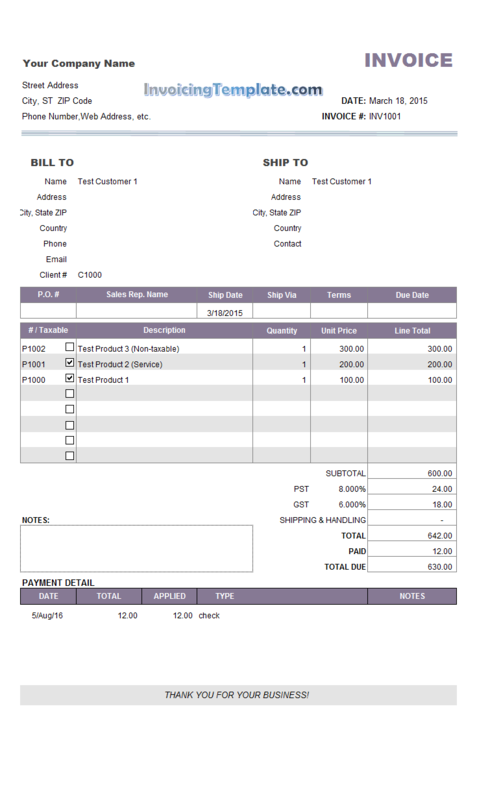 We'll publish the percentage version of this sample invoice template here on InvoicingTemplate.com in the near future. 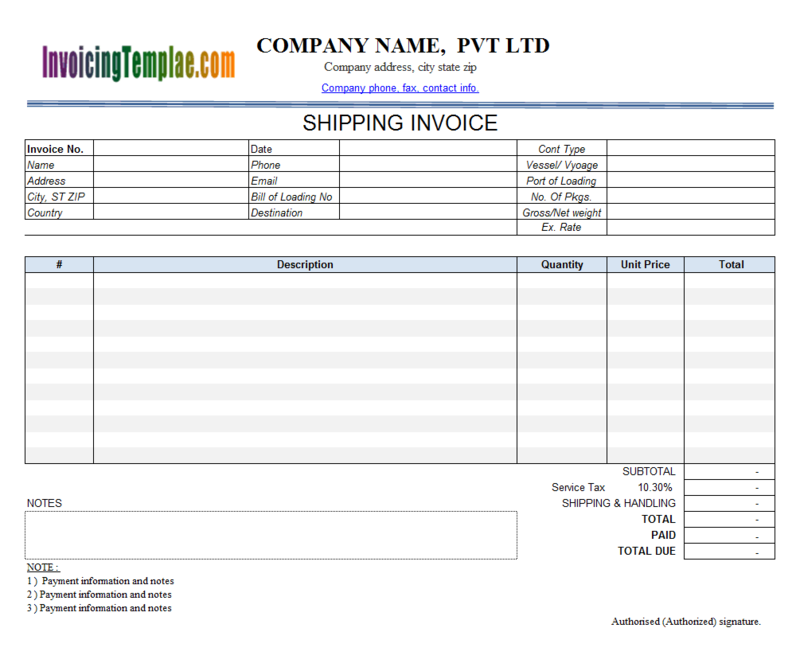 Like all the other sample invoice templates here on Invoicing Templates, Sales Invoice Template with Discount Amount Column is also created from the default sales invoice template shipped with Invoice Manager for Excel (namely Uniform Invoice Software). 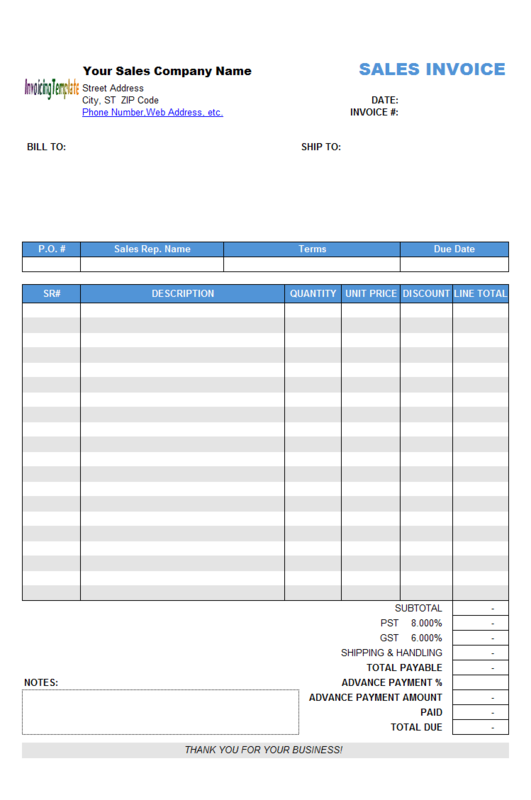 In order to create this 6-column invoice layout, we need to adjust the existing 5-column invoice layout to leave space for the additional column. 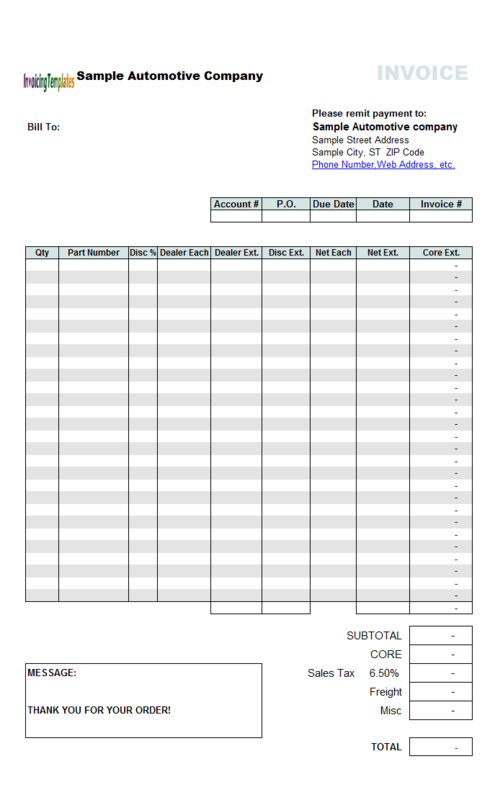 How do I insert a new column to invoice form? 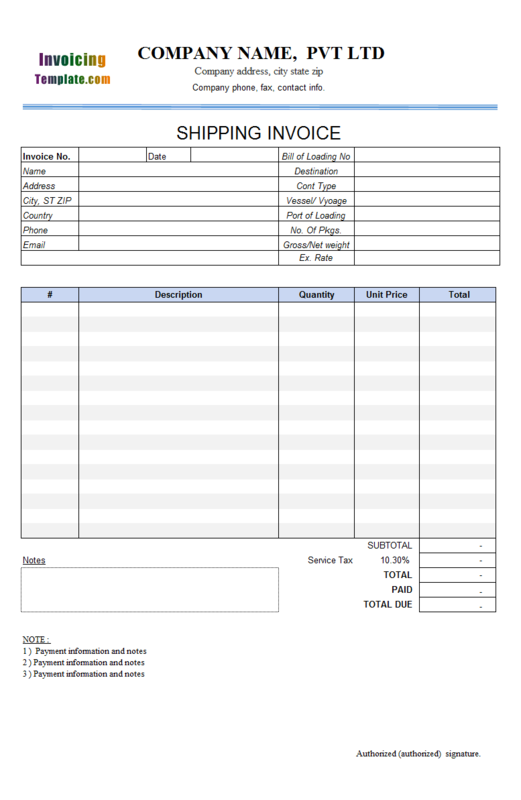 Please download the Sales Invoice Template with Discount Amount Column for free to see how it differs from the default sales invoice template shipping with Invoice Manager for Excel (namely Uniform Invoice Software). 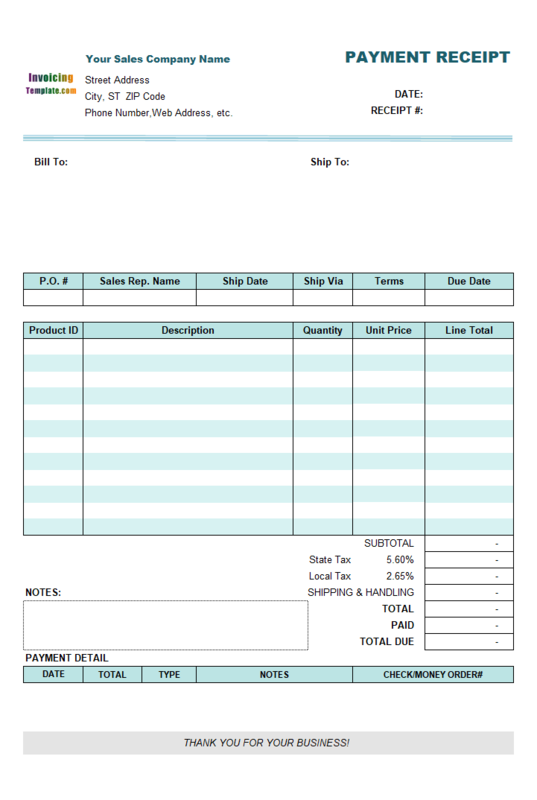 A PDF version of this Sales Invoice Template with Discount Amount Column is also available for free. 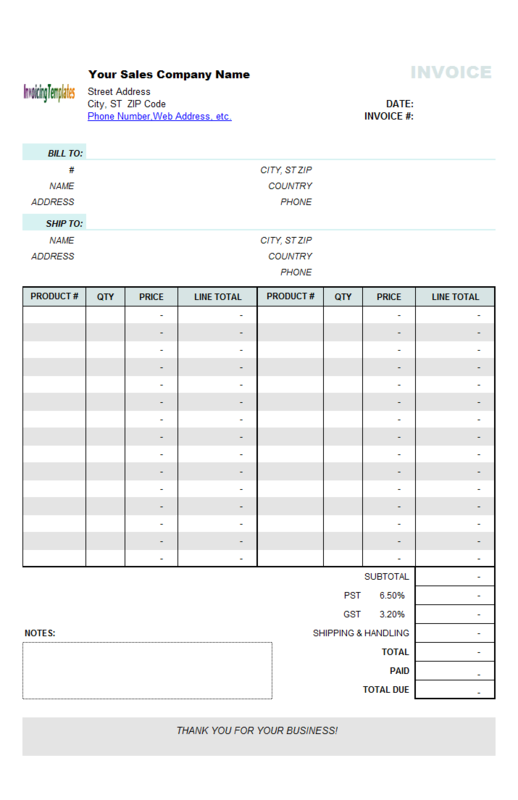 Like other form designs here on InvoicingTemplate.com, Sales Template with Discount Amount Column is free (offered to you at a price of 0.00USD). It works on Windows XP and all newer versions of Windows, and Excel 2007, 2010, 2013 or 2016. Added several lines of sample data to the detail section to show how the discount amount formulas work. Added bottom lines to all the fields in both the "Bill To" and "Ship To" section. Replaced all ActiveX checkboxes with Excel form controls. Each taxable checkbox is linked to a hidden cell. Changed the default tax names to "State Tax" and "Local Tax".